Previous | Ready to get started? Sign Up Now. A Full Suite of Promotional Tools. 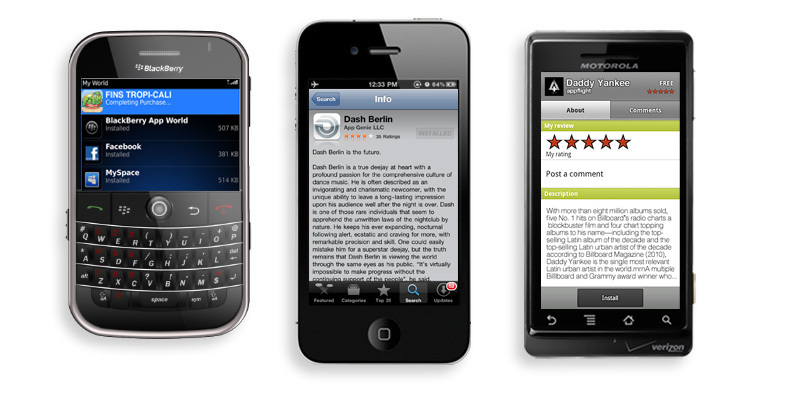 Creating an app is more than just getting your app into the store. Users need to know about your app in order to use it. We've setup tons of different ways that integrate with your current online efforts, as well as, enable you to implemenet mobile techniques. Forget long download links, or searching in each app store. 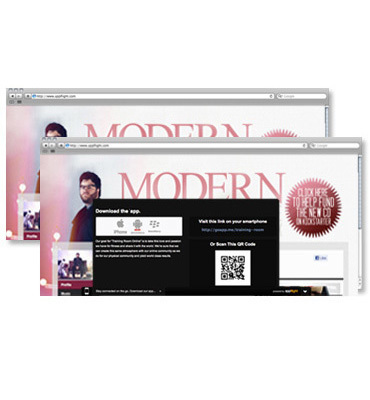 The easiest way to promote is using our quick URL link. 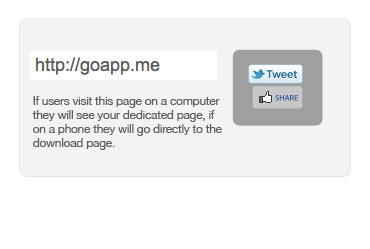 If you tweet your Quick URL, post it to your Facebook Page, send out an email blast, or have it on promotional material and a user decides check it out on their computer they will be displayed a completely custom dedicated page for your app. View a sample. Direct to App Store Download. If a users goes to your Quick URL from thier phone, we will automatically determine what type of phone they are using and direct them to the appropriate app store download link. 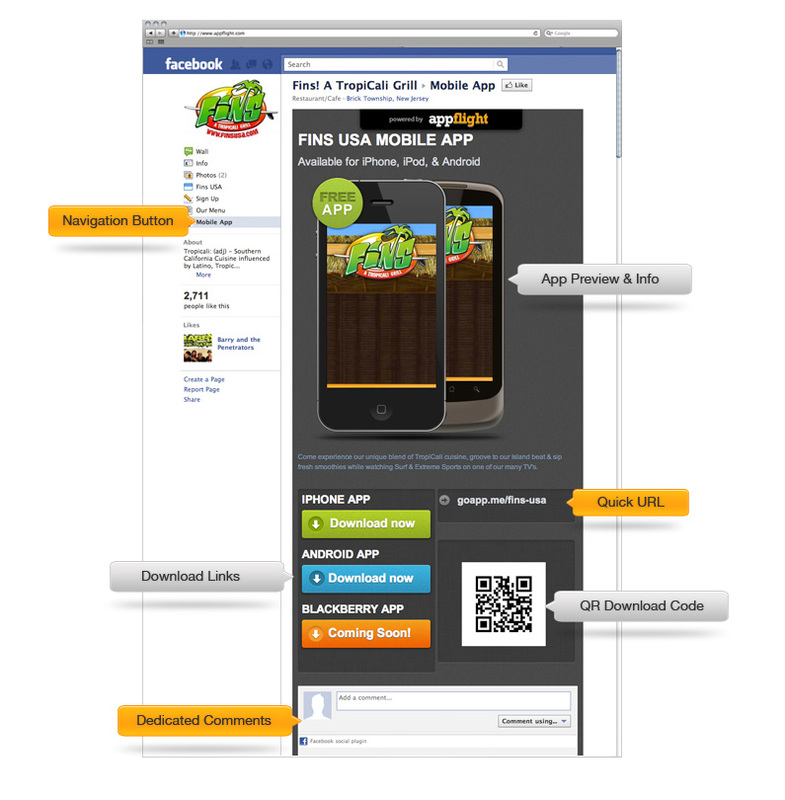 This minimizes the steps to get from "hearing about" your app to "engaging and interacting" with it. Everyone is on Facebook, and odds are you're one of them. That's why we've developed a promotional tool that allows you to integreate with your Facebook page, at no additiona cost. Setup is as easy as 1, 2, 3. View a sample. 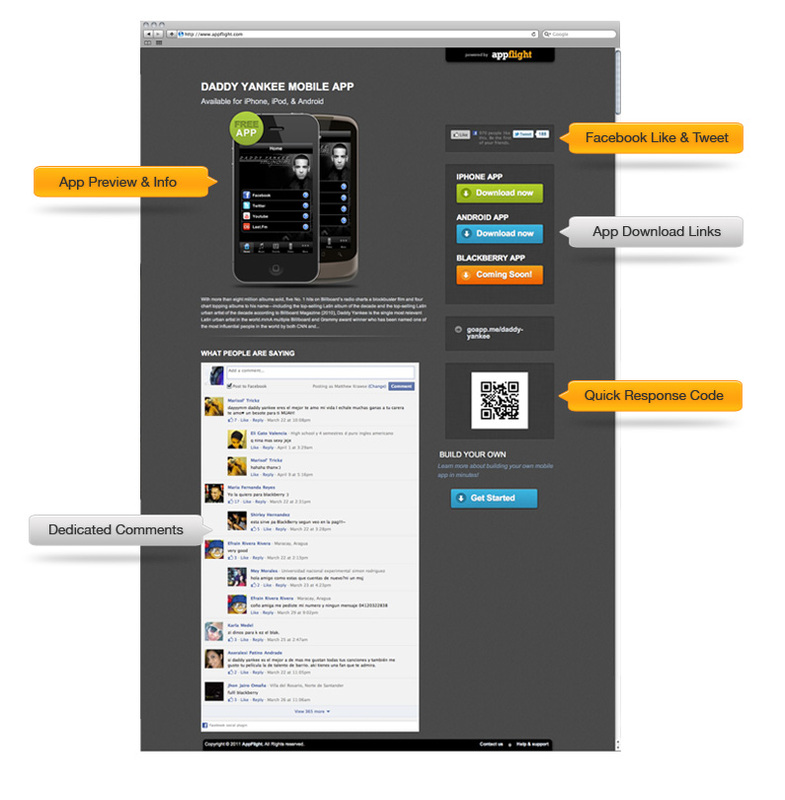 The problem with promoting your app on your website is... Where do you put it? We've developed a footer widget that stays at the bottom of your website (over the content) and expand to allow for download links. View a sample. Want the latest AppFlight News? Join our mailing list!